Something both wonderful and sad happened this week. 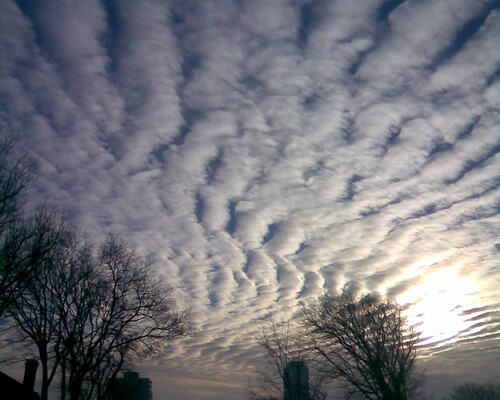 I began seeing patterns much more prominent and awe inspiring than ever before. I found myself just staring at things, and became completely fascinated with a fractural cauliflower (well that’s what I called it) that I didn’t even want to eat because of its swirling complicated patterns and intense beauty. I also watched some amazing cloud formations and tripped over a recycling bin whilst taking photos, due to being totally absorbed. I seemed to be noticing the magnificence of nature in so much more detail more than usual! The sad part was the vote on the rise in tuition fees that was passed :-( I felt so sorry for the future generations of students wanting to study and not being able to, due to the high costs and huge debts they will face. At the moment this country seems to be going downhill fast, and I can only see things getting more chaotic. Due to thinking about this I stumbled across a book: Chaos Theory Tamed, by Garnett P. Williams. I started reading some of it, but then one thing led to another and before I knew it found a video on Chaos Theory on the internet, called: The Secret Life of Chaos. This had an amazing effect on me it was as if everything that I’d recently been thinking about this week had been put together in a video. 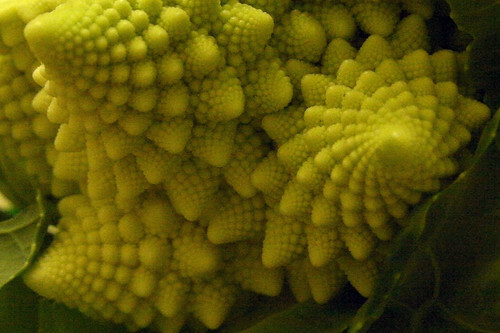 Even the fractural cauliflower was in it, and I found out it’s either called a Romanesco Broccoli or a Roman Cauliflower. The video below is an excerpt from the documentary talking about Benoit Mandelbrot a mathematician. This clip explores how natural fractals in the world, form the shapes of mountains, coastlines and river basins; the structures of plants, blood vessels and lungs. It's a really fascinating documentary.